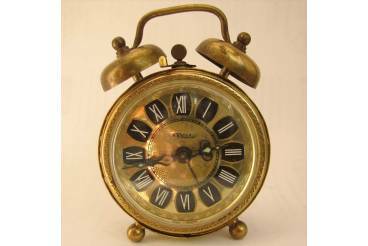 "OSXAR" Vintage German Alarm Clock. 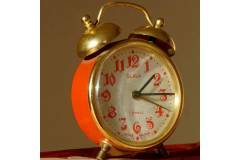 Nice vintage alarm clock. Gold color dial. Black base white roman numbers. 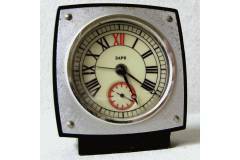 Clock works fine - keeps good time considering its age. Nice strong and even sound. 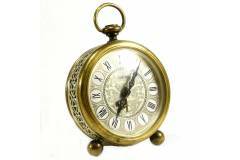 Brass ornated dial ring. Brass filigree side deco panel. Great addition to every collection.